Royal Stamp Magnet. Set of 3 decorative magnets shaped like a royal seal. Will move up in your fridge! 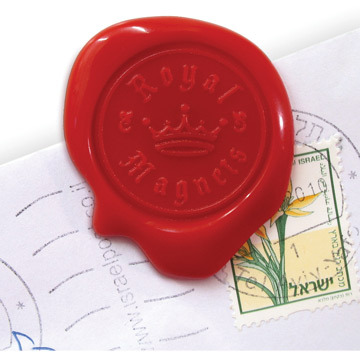 Now you say that your refrigerator is different, your refrigerator has royal genes ... and as you show it, because with these magnets in the shape of the royal seal, you will use to leave your actual notes on the fridge. Royal stamp mangets measures: 11 x 15 x 0.1 cm.